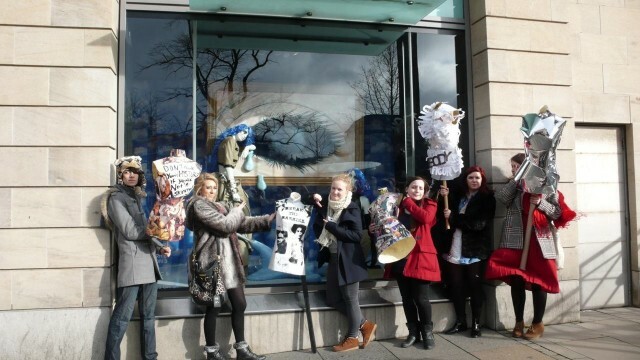 When fashion students at Edinburgh College of Art were faced with a ‘flatpack’ mannequin and a group of Fashion Journalists from UCA Epsom, as part of the University of Edinburgh’s “Innovative Learning Week”, it’s safe to say we felt slightly dubious about what lay ahead. 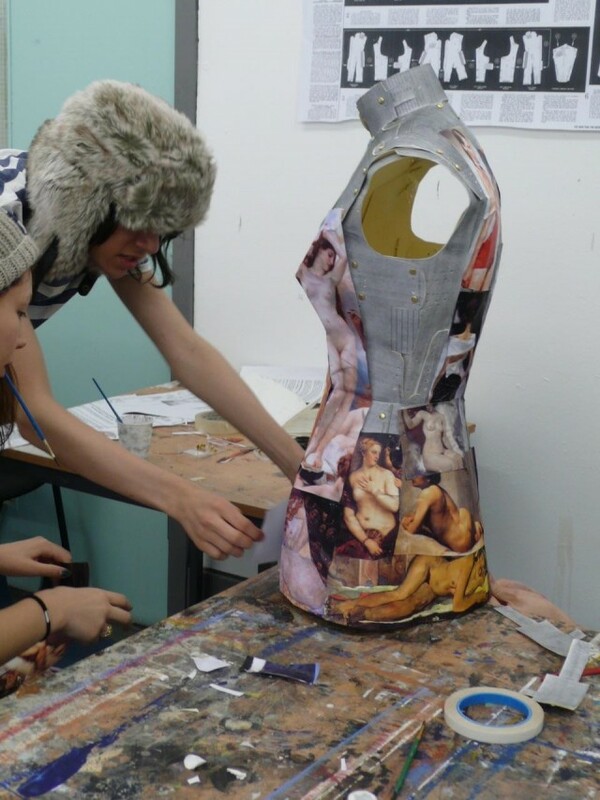 Despite this, Course Director of Fashion at ECA, Mal Burkinshaw, reassured students that there was method, at least some, to his madness. 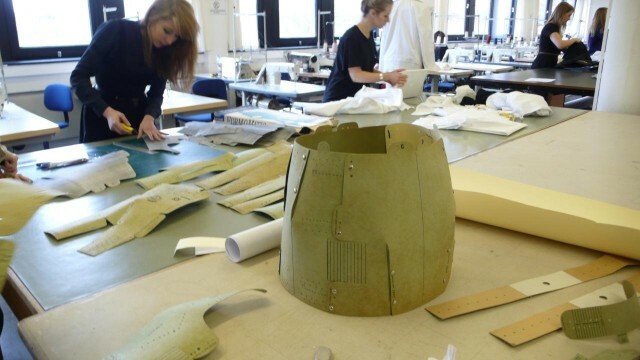 The project brief was to promote the “All Walks Beyond The Catwalk” campaign using the self-assemble model of a 1950s cardboard mannequin, an object that symbolised the ‘make-do-and-mend’ era, when amateur dressmaking was at its most prominent. 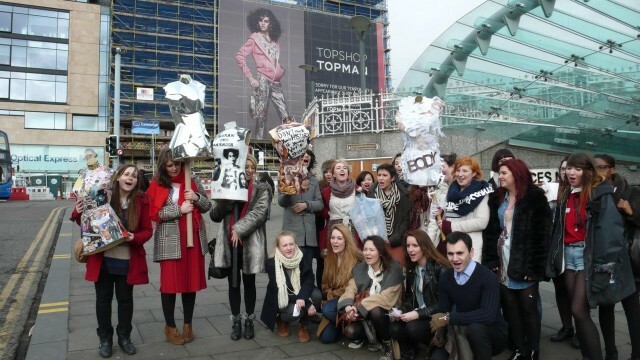 Our task was to assemble the mannequin and then use it as a ‘blank canvas’ to create an inspired “All Walks” campaign message of diversity within the fashion industry. 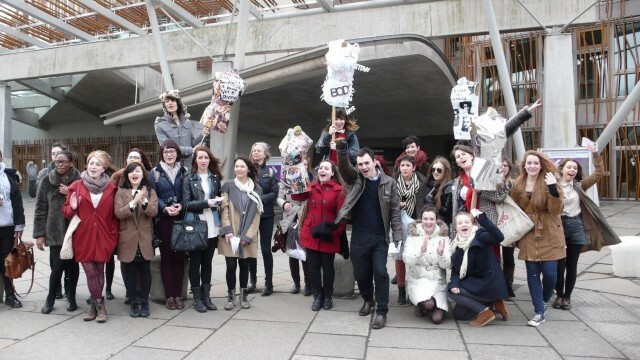 Little did we know these would later be pushed into the public eye, literally, on the streets of Edinburgh. Not only did this project offer us a chance to creatively convey the important messages of the “All Walks” campaign – celebrating diversity in ethnicity, age, shape and size, and the need to communicate these to the public – but, by constructing the mannequins, it allowed us to manipulate body sizes – a hands on way for us, as fashion students, to really explore and understand the contours of the body and how much bodies can differ. 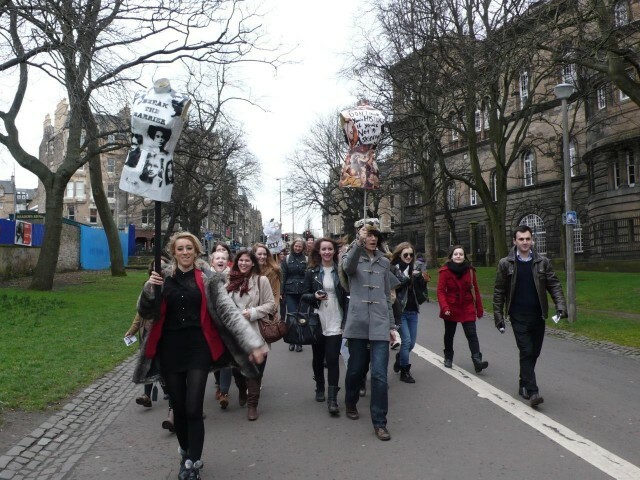 Now, it could just have been that the ‘march’ through the streets of Edinburgh offered us a chance to take part in a student demonstration, but I know it meant far more than that to both ECA and UCA Epsom students. We all chose to be a part of the project because we passionately believe that the “All Walks” campaign is so relevant to today’s diverse society and that the public should hear about it and know that people within the industry are really striving to change the images produced by the world of fashion for the better. – is this a positive image of fashion? 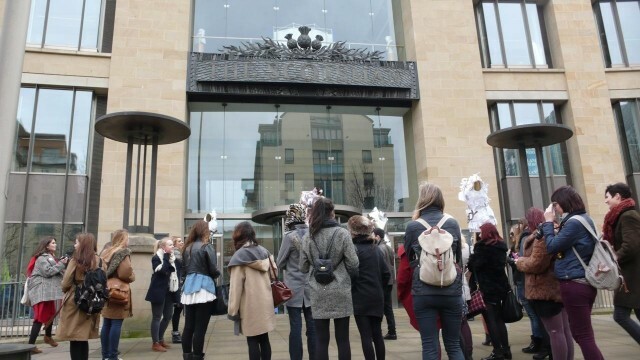 After marching around Edinburgh for two and a half hours, from the Scottish Parliament to Primark on Princes Street, handing out flyers and chanting loudly, a sore throat was a small price to pay for what I saw as an extremely worthwhile day of education and of broadcasting our important message.